India has framed stricter rules for foreign online sellers. But it’s not as if the likes of Amazon aren’t attracting questions elsewhere. US President Donald Trump’s frequent outbursts against the Jeff Bezos-owned online retail giant may be influenced by the latter’s ownership of a newspaper. But thoughtful critics of Amazon’s business practices have also found place in America’s national conversation. The prime example is a paper by Yale University law student Lina Khan in the Yale Law Journal. 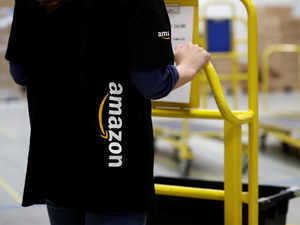 ET does an executive summary of the case against Amazon as articulated by some American voices. Cheap is always not good. It is difficult to understand the potential harm to competition posed by Amazon’s dominance if we measure competition primarily through price and output. This goes to the heart of Amazon’s argument that low prices are the biggest proof of its beneficial effects. Current US laws are not equipped to tackle this ‘structural dominance’ and therefore can’t tackle ‘potential anti-competitive’ practices. 2. Governing dominant platforms as monopolies through regulation: That is, apply common carrier obligations and duties, that means, treating all vendors and/or stakeholders on a platform equally, as is enjoined in communications businesses.